Buying a new home, even with Missouri’s low cost of living, is an expensive undertaking. 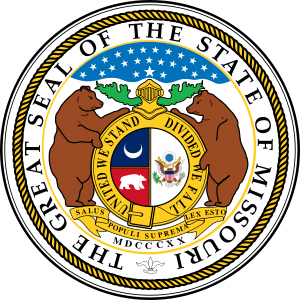 In recognizing this fact, the state government of Missouri created the Missouri-Housing-Development-Commission (MHDC). Missouri down payment assistance programs include services for first-time home-buyers, military veterans, and those desiring to move to an urban area. The “First Place” loan program is a service offered by the MHDC which provides cash assistance loans (CALs) for those needing money upfront for down payments as well as non-cash assistance loans (non-CALs). The interest rates on these loans are affordable: a 30 year fixed mortgage CAL starts at 4.25% and a non-CAL starts at 3.75%. In order to qualify for this program, individuals must be first-time home buyers. Military veterans do not need to be first-time home buyers of Missouri order to qualify for a subsidized loan with a below-market interest rate. In order to qualify, veterans must be income-eligible and have good credit. The veteran must apply within 25 years after the date he or she was discharged from active duty service. Finally, veterans seeking financing will require a DD Form 214: A Certificate of Release or Discharge frm Active Duty along with a Statement of Service signed by the veteran’s commanding officer. Finally, the MHDC provides individuals who have lost their homes in a disaster with cash assistance loans with up to 5% down payment. In order to qualify, individuals must be Missouri citizens affected by a severe weather disaster which caused the loss of their home. Individuals must be living in one of the 15 disaster-area counties in order to qualify for disaster down payment assistance and sign up with an affiliated lender. This entry was posted in Missouri and tagged down payment assistance, grants, housing authority, missouri, programs. Bookmark the permalink.